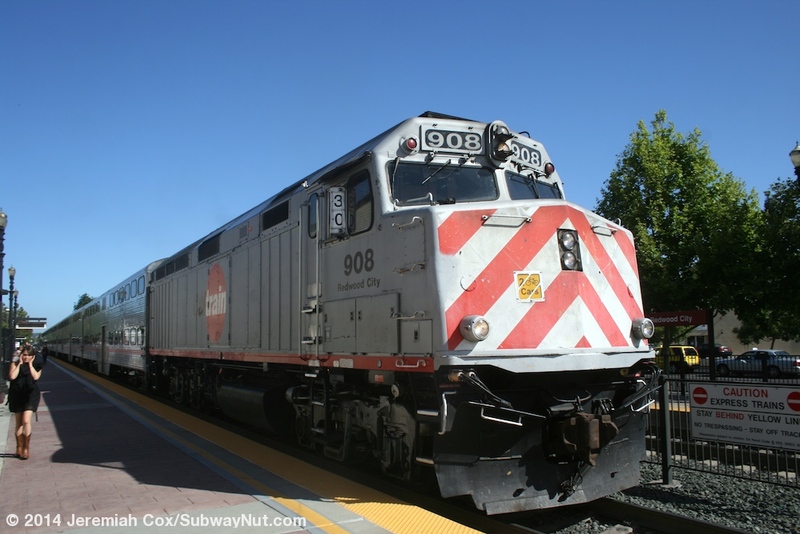 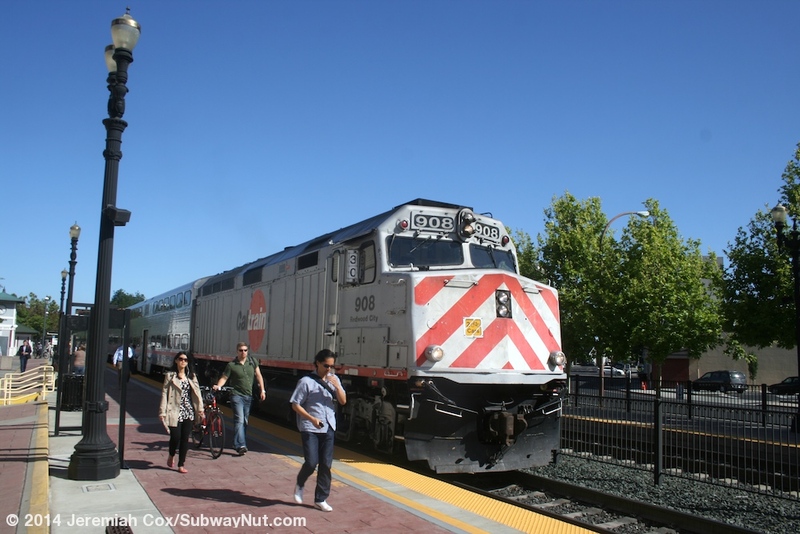 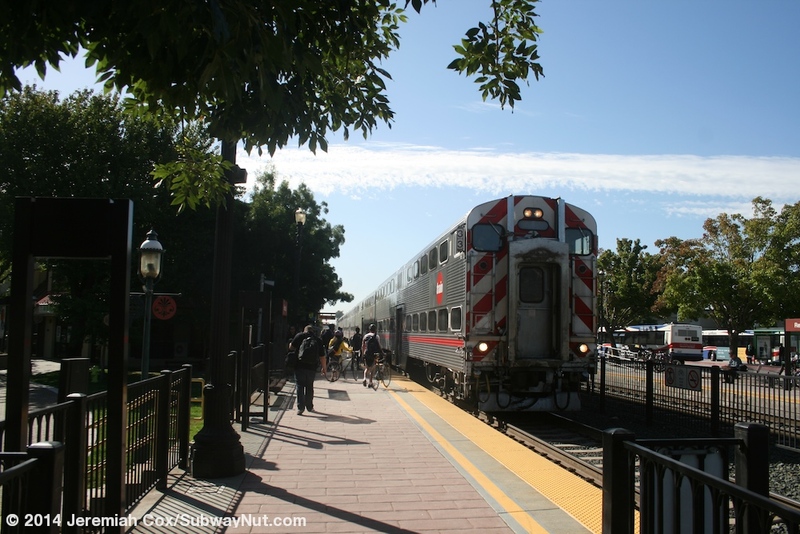 Redwood City is a Caltrain Station about midway between San Francisco and San Jose. 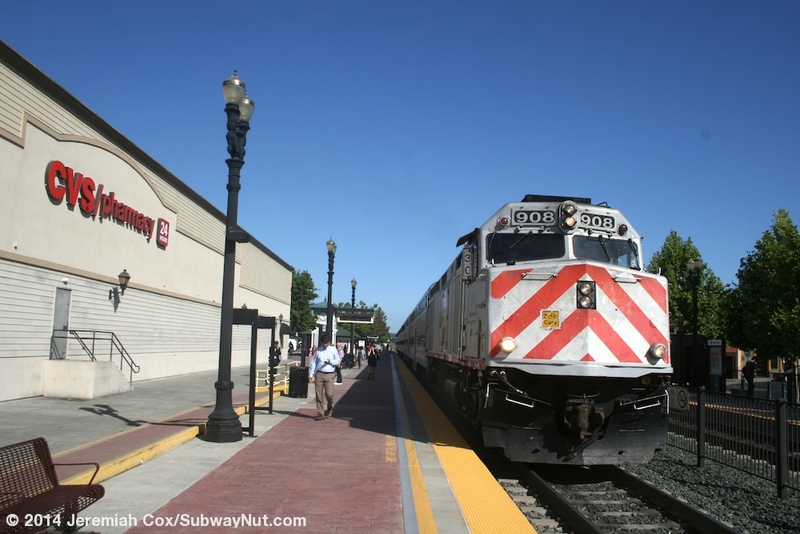 The station is one of the timed transfer stations where during rush hours passengers transfer between Limited trains specifically one train making all local stops north of the station (and express south of the station) and one all local stops south of the station (and express north of the station) to allow riders to get between all stations on the corridor. 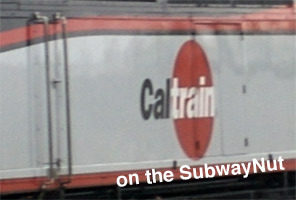 The station still only has two tracks and two side platforms. 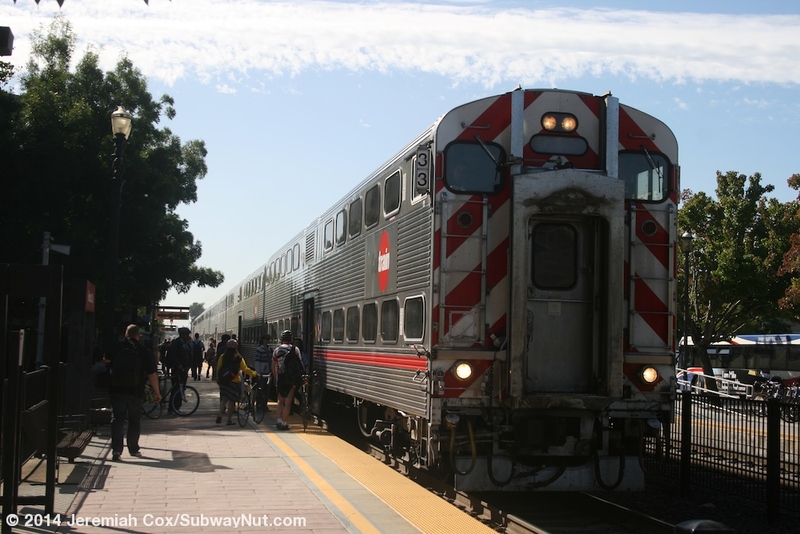 Transferring passengers simply get off and wait six minutes for the next train. 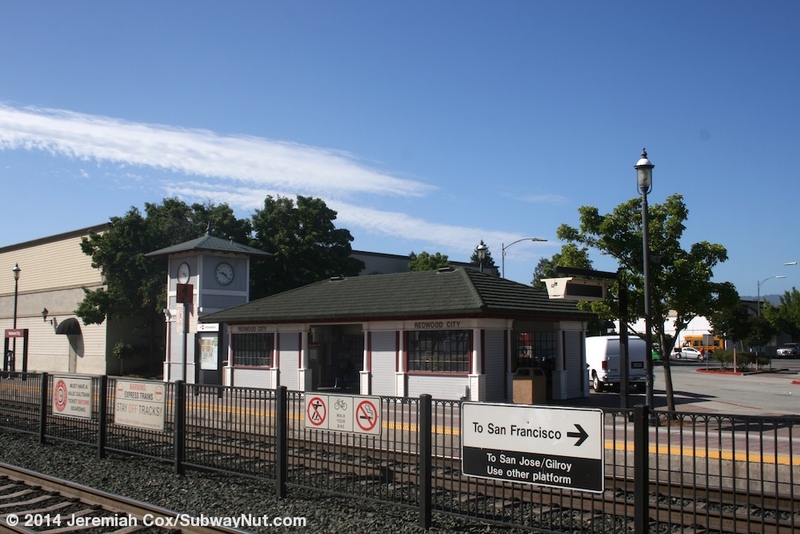 The station had a historic wood-framed/stucco 1909 depot but this was damaged in a fire in 1979 and replaced by a trailer. 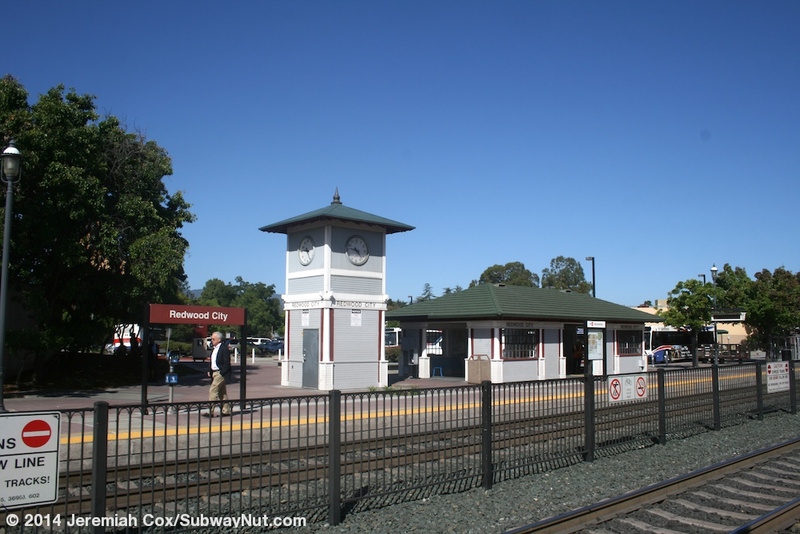 The current station, the Redwood City Transit Center was dedicated in July 1995. 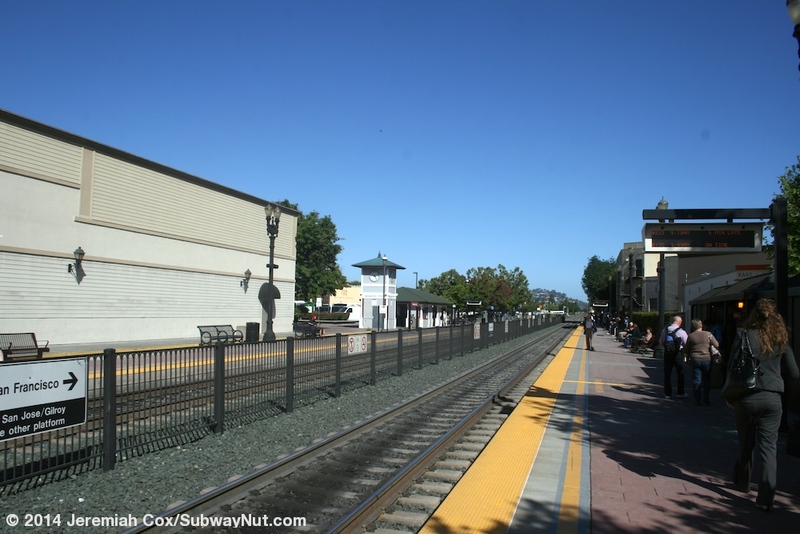 The station's two side platforms begin just south of the grade crossing of Broadway and run south to a pedestrian crossing at the other end of the station. 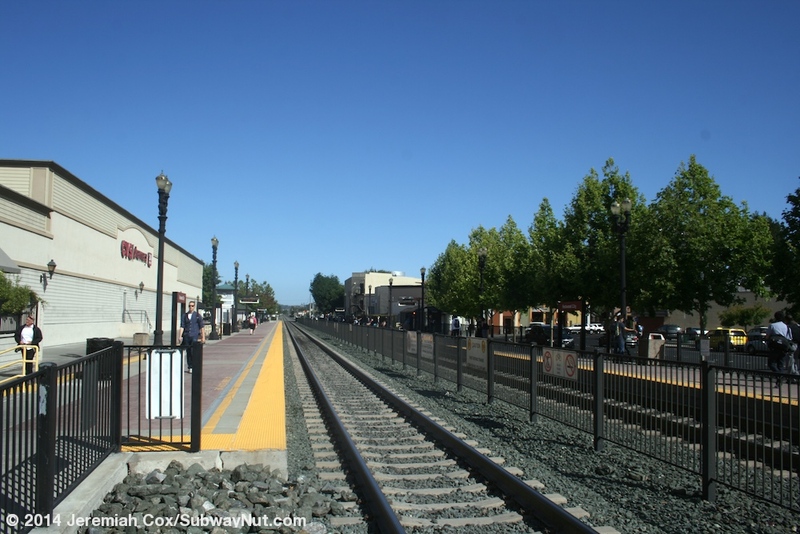 The platforms each have mini-high wheelchair ramps for boarding the new Bombardier BiLevel trains. 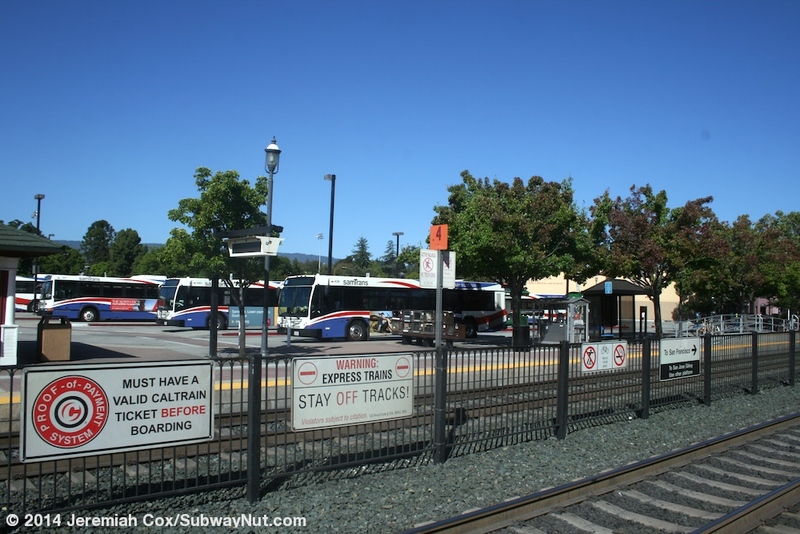 Each also has the required wheelchair lift next to a blue bench in a bus shelter. 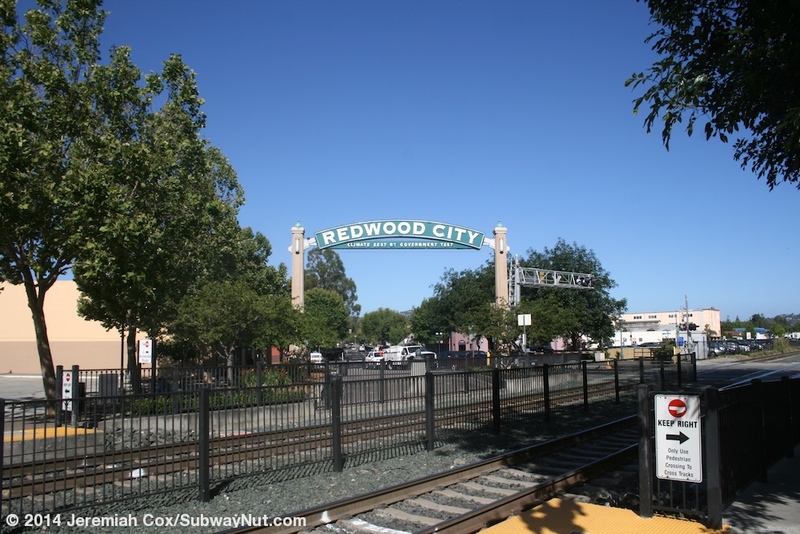 A plaza beyond the end of the San Jose-bound platform has a teal arch with white letters and neon lights that says Redwood City: Climate Best by Government Test. 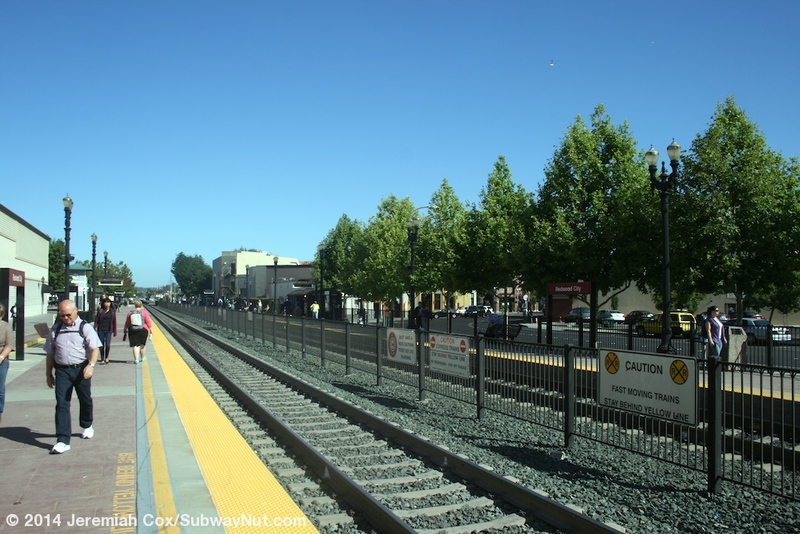 Continuing down this platform is replica wooden white with a green roof shelter structure with casement windows. 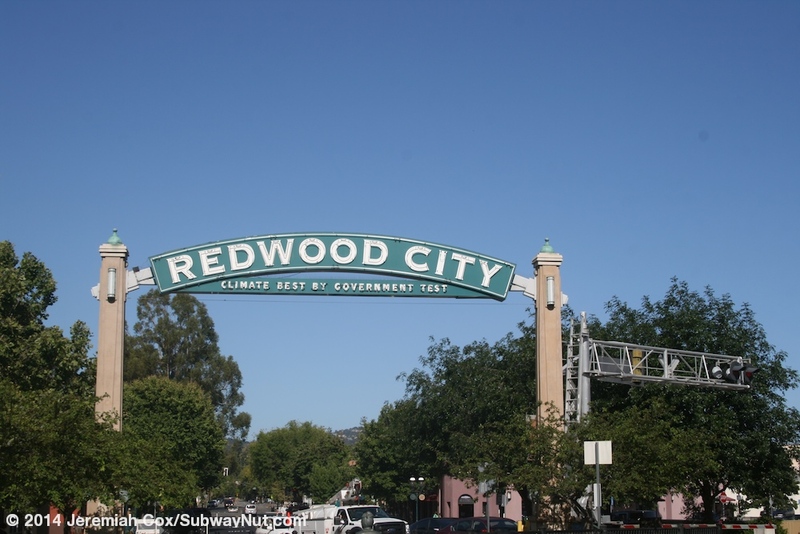 Redwood City is written just under the roofline. 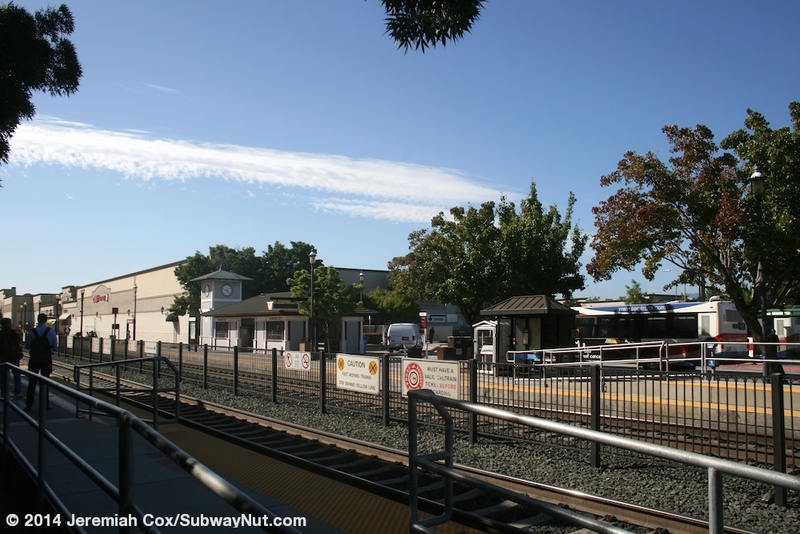 Inside are benches and TVMs. 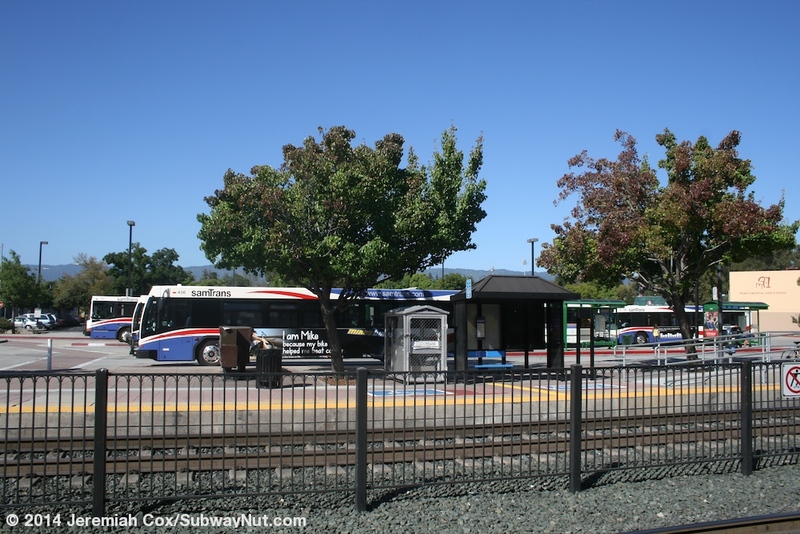 Next to it is a clock tower that I believe is on top of a private restroom only for SamTrans drivers because this structure is alongside the four lane bus loop (with bus shelters parallel to the platform) that is the Redwood City Transit Center. 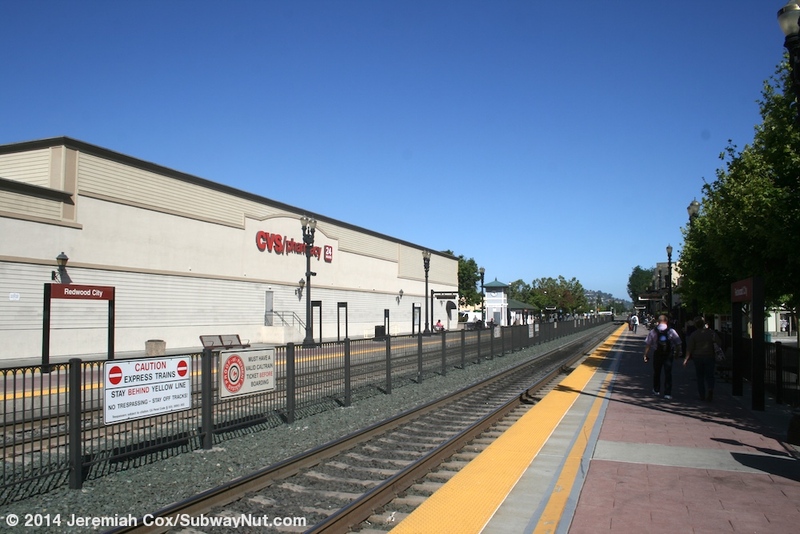 Along the southeastern end of the platform is the side platform of a CVS pharmacy and the entrance to Sequoia Station a strip mall (with a large parking lot for shoppers in the middle). 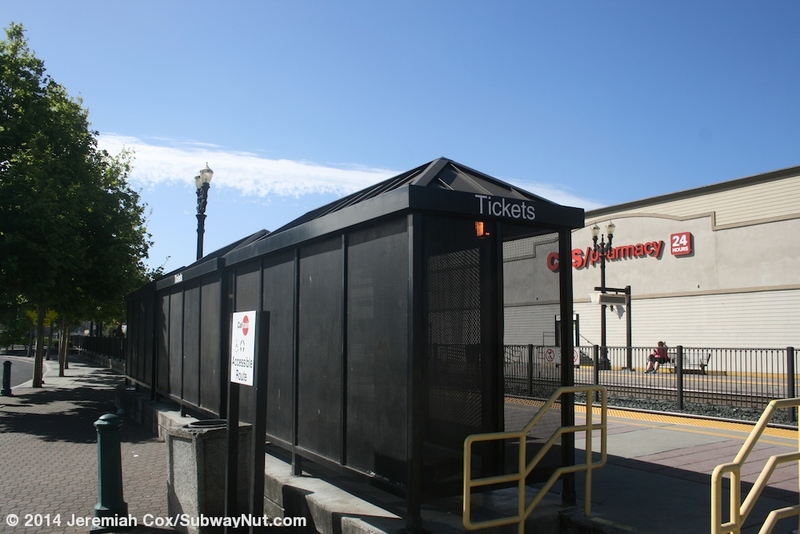 The San Francisco-bound platform is quite bare with just some black bus shelters for waiting passengers covering the ticket machines. 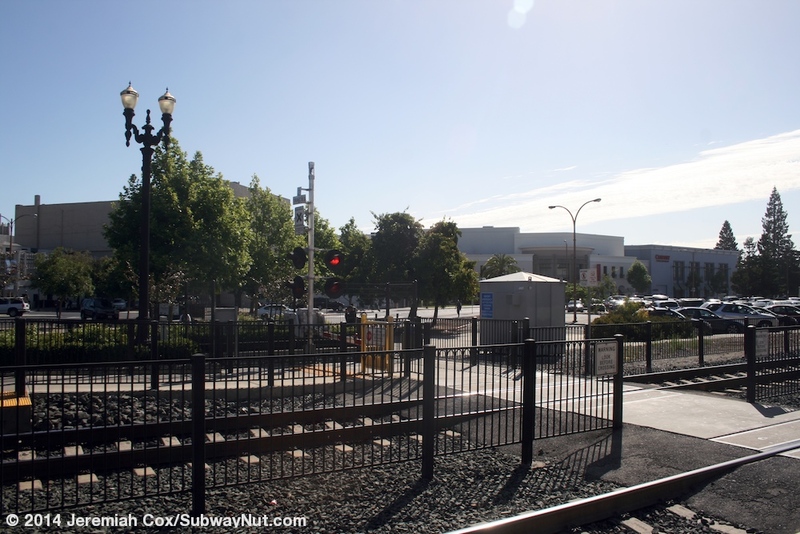 It does have entrances both from Broadway at the grade crossing and Winslow Street that turns and runs alongside a section of the southern end of the platform. 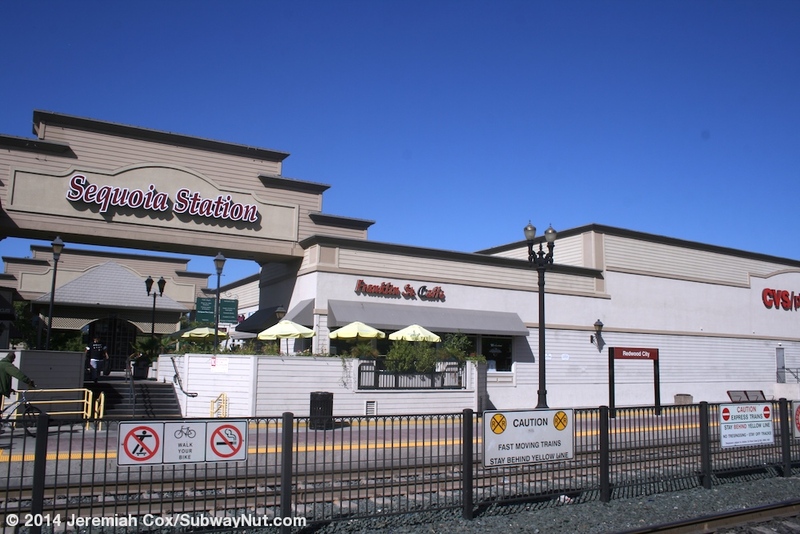 There are 577 parking spaces located in 3 lots around the station in downtown. 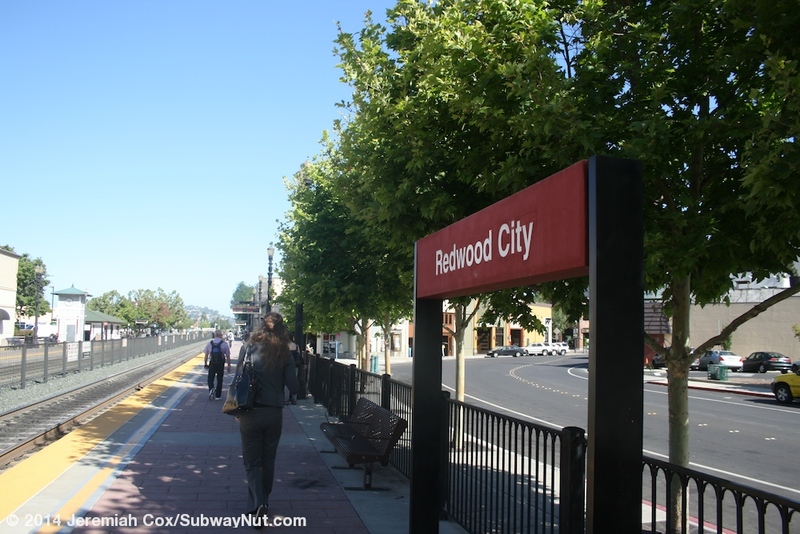 Signage consists of a number of red Redwood City signs along the platform.